One of the game's most prolific power hitters (630 home runs, 1,836 RBIs). 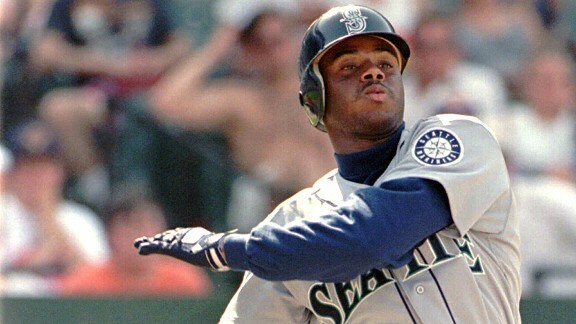 Check out these back-to-back power seasons: 56 HR, 147 RBIs in 1997 (AL MVP); and 56 HR, 146 RBIs in 1998. When Seattle traded him to the Reds for Brett Tomko and others in 2000, Tomko said, "It's like being traded for [Michael] Jordan or something."